There is also the impact of President Donald Trump's get-tough trade policies, which include higher tariffs on aluminum and steel along with penalty tariffs on a range of Chinese goods. China and other countries have already retaliated with penalty tariffs on American products. 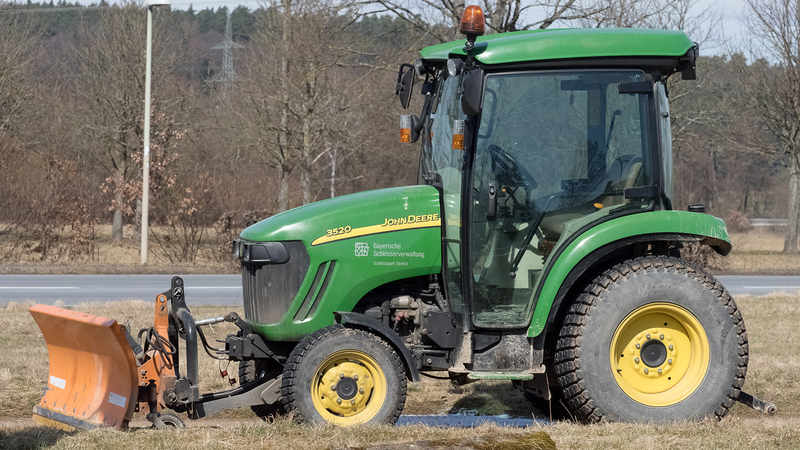 "While many famers believe these issues will be resolved before next year's harvest, there is no doubt trade concerns have had an impact on farmer sentiment," said John C. May, president of Deere's agricultural solutions unit. The company expects a 7 percent boost in revenue in 2019, and profit of about $3.6 billion. Demand for equipment replacement continues to drive order activity, said John D. Lagemann, senior vice president of sales and marketing in the Americas. He said farmer and dealer sentiment remain "cautiously optimistic." "Key to this gradual recovery is either the continuation of trade flow readjustments," he said, or "a trade resolution between the U.S. and China."